One of the most distinct features of Timothy Lake are the many stumps left behind from when the dam was built at the south end in 1956, regulating the flow to Harriet Lake downstream and creating the lake we know today. The roots of this stump are still entwined and I think it is incredible that the old reminders of the forest that once was still exist after all these years. What a perfect word for the letter E.
Great photo of the Entwined roots. Are we not all entwined? Entwined is a great expression for tree roots, amazing things. Very pretty!!! And your blog post title "Entwined" is very poetic!!! Very pretty and the title is perfect. Have a happy week! 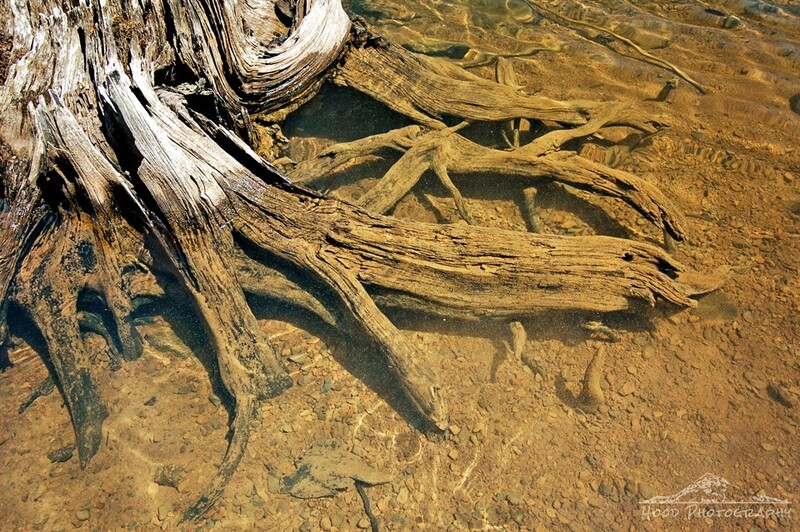 Great shot of the entwined roots. Wow 1956 (my birth year) yep, it's been a long time. I love this type of shot! I see lots of huge trees with their branches entwined, but never thought to use the photos for our E week. Kudos! They seem well entrenched and embedded!! I found myself enchanted by roots while hiking last week (well always in the mountains) the grow right around massive boulders... the will to survive and thrive is amazing isn't it? Beautiful photo as always! We found some like that on a remote beach at Lake Tahoe. So interesting. That's a great photo. Entwined is a great word.